2k and Firaxis thank fans for their feedback on the game and promise that the patch will release "soon." 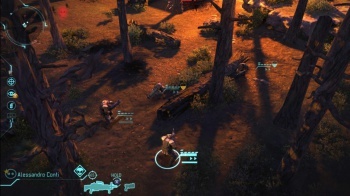 The second patch for XCOM: Enemy Unknown will make the game's easy difficulty setting easier, according to information posted on 2k Games' forums. There's some understandable confusion on the change, given that the easy setting already allows you to plow through the game like an angry human bulldozer through a mountain of alien pillows. There's also a certain strangeness to lowered difficulty for a game and genre famous for unforgiving challenge, but since games like XCOM have been out of the limelight for so long there are likely many gamers who have never played anything like it. Given the emphasis that 2k Games and Firaxis have placed on player feedback when talking about their patch, somebody must be telling them it's too hard. The announcement also included a bit of information on the notorious bug where players are left with the defeat screen upon beating the game. "Firaxis is currently aware and researching this issue," said the community coordinator, "We got a couple save files ... that they're looking at." -TempleShip optimization: All Soldiers properly spawn when restarting the mission after clearing the second room of TempleShip. -Snapshot penalty should no longer apply when Overwatching without first moving. -Easy Difficulty is now easier. The patch's release date is currently unknown, but the community representative says it will release "soon." It's exciting, however, that SHIVs are being fixed. Maybe now I can see what this mobile cover business is all about.